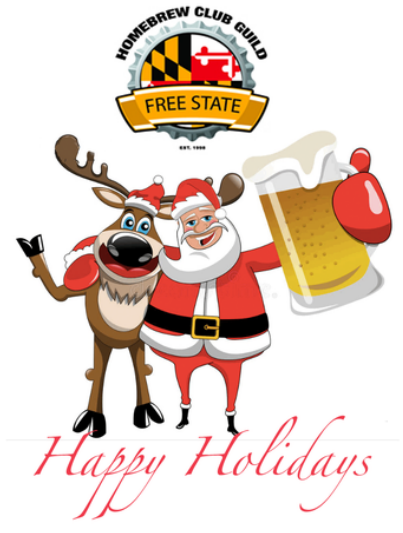 Guild Holiday Party – December 1, 2018 – Tickets on Sale Now! Ticket sales are almost open for the 2018 Guild Holiday Party @ Heavy Seas Brewery! Saturday December 1, 2018 from 6:00 – 10:00 p.m. The price of the tickets are still inexpensive with the proceeds being donated to our selected charities. Watch as Guild member clubs battle it out to win the “Door Prize” awarded to the best club table at the holiday party. Participating clubs will have a table to decorate and serve their beer and food. Bring your homebrew to share we’ll supply the tubs and ice!